North Korea will be the top agenda item for President Donald Trump when he meets Friday with Chinese President Xi Jinping. “We have somebody that is not doing the right thing and that’s going to be my responsibility,” @POTUS says. “As you know, I’ll be meeting with the president of China very soon in Florida, and that’s another responsibility we have, and that’s called the country of North Korea,” Trump said Wednesday during a Rose Garden press conference with King Abdullah II of Jordan. Trump suggested his predecessor, President Barack Obama, allowed North Korea to grow stronger. White House officials said there were a number of other items the two leaders will discuss—one being trade and commerce—paramount during Trump’s campaign, where he frequently took shots at the Chinese. 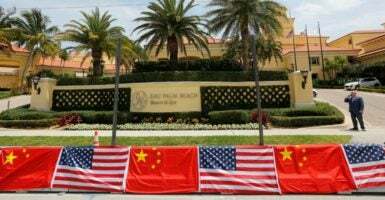 The meeting Friday and Saturday at Trump’s Mar-a-Lago estate in Florida will be a significant chance for both leaders to learn about one another, said Fred Fleitz, a former State Department official in the George W. Bush administration. “China is coming here to try to figure Trump out. He’s not like a president they’ve ever seen before. 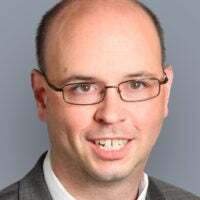 He’s not a president they can walk all over like Obama was,” said Fleitz, now a senior vice president for the Center for Security Policy, a national security think tank. Here are the four key issues Trump and Xi will likely be discussing. North Korea initiated a missile test this week aimed at Japanese waters, but the test reportedly failed. The country previously conducted a missile test in February, and several in 2016. North Korea leader Kim is reportedly seeking to produce a long-range nuclear weapon capable of hitting the continental United States in a few years. China has blocked U.N. Security Council resolutions against North Korea. After South Korea deployed the Terminal High Altitude Area Defense, or THAAD, missile defense system, China threatened South Korea with economic, diplomatic, and military measures. The administration recognizes it is economically interdependent with China, but will insist that all bilateral trade be “mutually beneficial,” according to a White House official. Late last year, China expanded artificial islands and seized an unmanned underwater drone belonging to the U.S. Navy in the South China Sea. This is again a matter in which the Obama administration allowed China to show too much assertiveness, Fleitz noted. “China will look at American leadership. The lack of leadership has been very destructive,” Fleitz said. Fleitz also said that Trump should make a strong statement about China’s mistreatment of the Uyghur community in Xinjiang, which human rights groups have criticized. He said there are several issues to address specifically, but hopes Trump speaks broadly about China’s abysmal human rights record in the meeting. A White House official said this will likely come up.